I never endorsed doubts about the official version of 9/11 beyond indicating what anyone who has objectively examined the controversy knows — that there remain certain gaps in the official explanation that give rise to an array of conspiratorial explanations, and that the 9/11 Commission unfortunately did not put these concerns to rest. My plea was intended to encourage addressing these gaps in a credible manner, nothing more, nothing less. I certainly meant no disrespect toward the collective memory of 9/11 in the country and elsewhere. On the contrary, my intention was to encourage an investigation that might finally achieve closure with respect to doubts that remain prevalent among important sectors of the public, including among some 9/11 families. A UN expert on human rights in the Palestinian territories on Friday denied that he endorsed claims of US government involvement in the September 11 attacks. “I wish to be absolutely clear; I do not endorse the theory that the US government orchestrated the 9/11 attacks,” Richard Falk said in a statement released by the UN human rights office. The United States on Tuesday demanded his dismissal for “noxious” comments over an alleged US cover-up. According to Wikipedia, the phrase “third rail” is defined as “a metaphor in politics to denote an idea or topic that is so “charged” and “untouchable” that any politician or public official who dares to broach the subject would invariably suffer politically.” This most certainly applies to 9/11. A UN expert on Palestinian human rights who suggested there was a cover-up over the September 11 attacks should be fired, US Ambassador Susan Rice said on Tuesday. 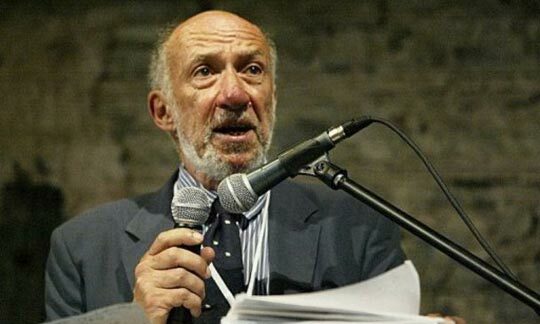 US academic Richard Falk wrote in a blog this month that there had been an “apparent cover-up” over 9/11. In her statement, Rice called Falk’s comments “despicable” and “noxious” and called for his removal.